One Day In Rome: Rome Wasn’t Built in a Day But You Can See it in One! There’s the old saying that Rome wasn’t built in a day and by no means am I arguing that there is a shortage of things to do and see in Rome; you could easily spend days, weeks, even months in this beautiful city and never run out of things to do. However, if you are limited on time like I was and only have one day to spend, I’m here to tell you how to make the most of one day in Rome! Although most people arrive in Rome via plane or train, once you are there Rome is a very walkable city. You can see all of the main sights without ever stepping foot on the ever so popular hop on hop off bus. First thing you need to do is get a city map- most hotels/hostels/airbnbs will provide you with one. I chose to stay in an Airbnb near the Colosseum; it was a great central location with lots of restaurants nearby and made for a great home base for exploring Rome on foot. If the Colosseum and the Vatican are on your list, which they most definitely should be, the key to seeing both of these in one day is timing. The Colosseum opens at 8am, which means you need to be there at 8am to avoid waiting hours in line just to get inside; it’s worth waking up early for I promise, plus the earlier you go the less crowded it will be inside. Once you’re in you can probably tour the entire thing in an hour or two. If you’re not a morning person or choose to ignore my warning and visit the Colosseum in the middle of the day, there are many tour companies that offer skip the line passes for a price. You can also find companies offering guided tours, although I personally don’t think that it’s necessary. I do however, recommend the audio headsets that are available to rent. These allow you to explore at your leisure while still hearing all about the history and culture behind the great Roman amphitheater you’re exploring. Otherwise, you’re just walking around the ruins taking selfies without fully appreciating the story behind it. Clarification- I definitely still recommend taking selfies, just get educated while doing it! If you forgot to pack your selfie stick don’t worry, there are people on the streets selling them just about everywhere. If you ignore my advice again and chose to skip the audio guide, allow me to provide some quick history. The Colosseum is the largest amphitheater in the Roman world, unlike traditional amphitheaters dug into hillsides for support, this one was built as a free standing structure with 80 arched entrances. In the old days, 60,000 spectators of all ages and ranks would pack inside like sardines to watch the gladiators fight to the death. Entrance to the games was free and the Roman gladiators were mostly men, typically salves or criminals or sometimes wild animals; by wild I mean zebras and lions. It is estimated that 700,000 people died in this arena, later banning this form of “entertainment”. Today, the Colosseum is one of the seven wonders of the world, how cool is that! Similar to the Colosseum, lines to enter the Vatican are crazy. Vatican City, an independent state and a UNESCO World Heritage Site, is impressive on its own. You don’t need a ticket to walk through St. Peter’s Square and see the church from the outside. You may be content just doing this, but if you’re like me and want to go inside prepare to wait a long time. As I only had one day in Rome, I bit the bullet and bought a skip the line pass with a guided tour for this one. If you’re interested in doing this, you can book a tour online (I used Viator) or there are plenty of tour companies camped out front that you can register for on the spot. If you have more than a day, I’d advocate spending an entire day just in Vatican City, as there is so much to see. Quick history- it is home to St Peter’s basilica, Michelangelo’s Sistine Chapel, Vatican Museums, and the enchanting Vatican Gardens. St Peter’s basilica is not only the most visited church in the world but the largest religious building. Note- there is strict dress code to enter the Vatican requiring covered shoulders and either pants or a modest dress. (Embarrassingly, my shorts were too short when I visited and I had to buy a scarf to use as a skirt to wrap around my legs.) Once inside, the ceiling of the Sistine Chapel is a must see. Michelango began this work for Pope Julius in 1508 and it’s still beautifully preserved today. 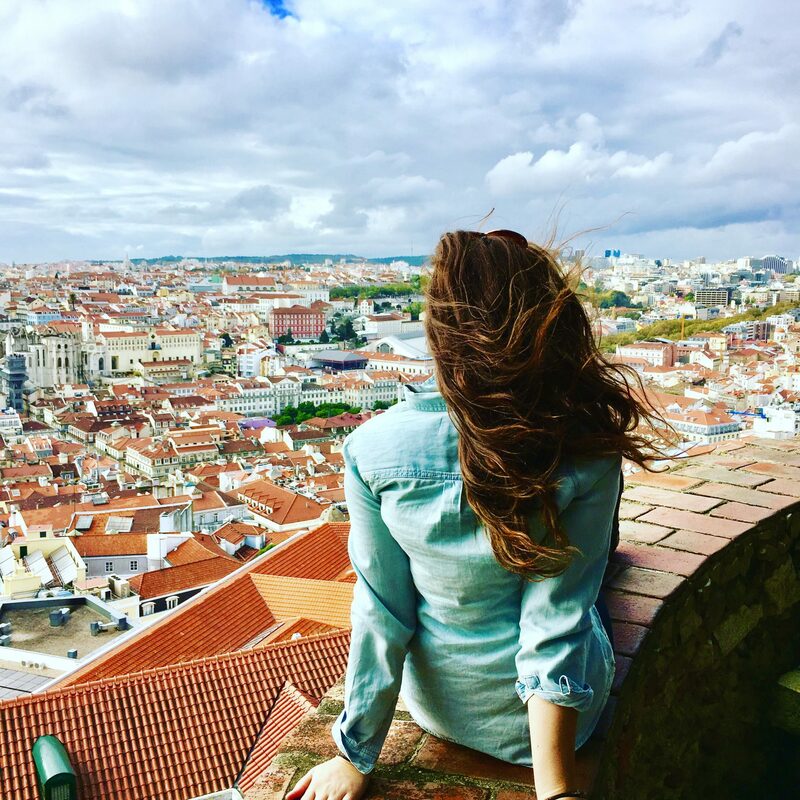 It is possible to climb to the top of the dome for a great view of the city. Unfortunately this wasn’t included in the tour I did, but there is an elevator (or 320 steps) to take you to the roof level and then its another 200 steps to the very top of the cupola. Here you can admire the views of the garden below before heading down to walk through it yourself. Note- visits to the garden are only allowed through guided tours. If you’re sticking to exploring Rome on foot, it is an exciting walk from the Colosseum to the Vatican, as there are so many things to see in between! With a few twists and turns in your route you can easily cross off all of the main sites in one day. Granted, if you have a few days there’s no reason to pack it all into one. Enjoy strolling the streets, relax in a café, do some shopping, venture off the beaten path, and take a gelato break or 5… you’re in Italy after all! With Only One Day in Rome… Eat All the Gelato You Can! And for How to Guide to Italian Gelato, check out this post by my travel blogger friend, Page Traveller! If you woke up early and were first in line at the Colosseum and bought a skip the line at the Vatican (or vice versa) you should have a good half day left to keep exploring Rome! You’ll find this ancient site of ruins directly behind the Colosseum and your ticket will gain you entrance to both this and the Roman Forum beneath it. Campo de Fiori- A square south of Piazza Navona. You’ll know you found it if you see a monument of an old philosopher, Giordano Bruno, at the center of the square. This is a busy area with lots of bars, shops, and a daily market. Piazza Navona- Another notable square. In this one you will find three of the 280 total fountains in Rome. Aside from the fountains, you’ll find many open air cafes and if you’re traveling in December, a seasonal Christmas Market. The Pantheon is the most preserved building of Ancient Rome; a former temple, now a beautiful church. Entrance is free! Oh the infamous Trevi Fountain. This is the oldest water source in all of Rome. Each night about 3,000 Euros are collected from the bottom of the fountain. You’ll be happy to know that the coins you throw behind your head (while taking a cute photo of course) go to charity. Note- if you haven’t picked up your selfie stick yet, this is the place to get one! The widest stairway in all of Europe makes for a popular meeting place for artists and tourists alike. You’ll find 138 uniquely shaped steps leading to… you guessed it, another beautiful church. Fun fact- there are over 900 churches in Rome alone. Well there you have it, one day in Rome! It is no surprise how Rome attracts around 12 million tourists annually. Now it’s your turn to make it 12 million and 1. Speaking of numbers, in case you’re curious, in my one day in Rome I logged 40,345 steps (a new record, thanks Fitbit!) 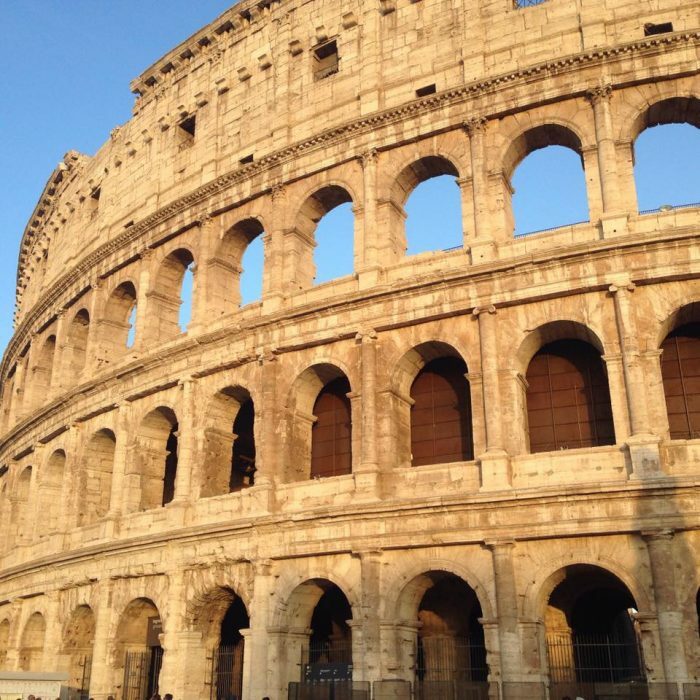 Anyways, whether it is one day or many, make sure beautiful historic Rome is on your list! Hey Great blog and photos.! Glad you posted the steps I think that’s helpful to a lot of people.